I've been covering music events for years and so I don't get starstruck anymore unless it's an artist that I've been a fan of for a long time. 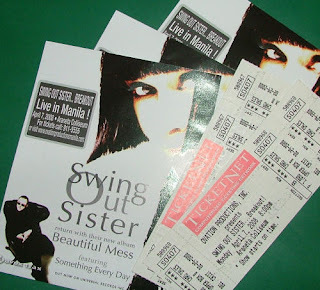 And so when I learned from a friend that Swing Out Sister is set to perform in Manila this April 2008, I told myself that this time, I will be a fan. I will set aside work, even though my work involves music. Swing Out Sister's music has been one of my favorites since the '90s. I first heard the song "Breakout" when my cousin played it in her car cassette player while we were on the way to a beach in Batangas. All my older cousins were singing to it and there I was, unfamiliar with the song, but liking it's catchy beat. 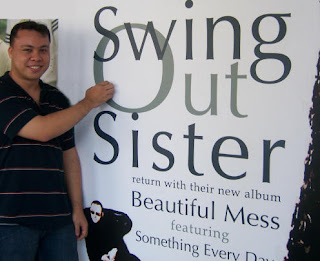 One of the very first CD's I bought was a Swing Out Sister CD. I still have it and it's one my most played CDs in my collection until now. I have 10 out of 18 of their released albums and I remember I had a hard time trying to build my SOS collection. Most of the CDs are rare and hard to find. I found two albums on Ebay and won the bid. I had to place a special order on the Swing Out Sister Live At The Jazz Cafe album (Japanese release) and wait for 6 weeks for it to arrive. I am happy with my collection cause I know it took a considerable amount of effort in building it. Then I knew that I was a true fan. Funny thing, I lined up at the ticket booth of the Araneta Coliseum where everybody else in the line were buying tickets to watch Ne-yo in concert that night. I was the only one who lined up to buy tickets for the SOS concert more than a month in advance. I may be too nervous to say anything coherent if I may happen to meet her in person (which has a considerable amount of probability since I cover music events). So as early as now, I am going to rehearse what I'm gonna tell them. There's just too much to say being a fan and so little time to do it. Anything longer than a minute is certainly going to get security's attention. 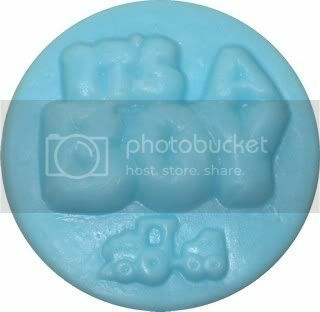 I just want to let SOS know how a huge fan I am. I am so ready to enjoy my personal Swing Out Sister experience. ei ! you were there too ? Cool ! It's such a nice feeling to be with others who share the same music interest when I was there. awww sad to hear that. I don't know why they don't tour the US regularly. Then again, I wonder why they aren't as popular to the American audience than to the Asian and European audiences. Japan adores SOS a whole lot.